Kill Doctor Lucky was the very first Cheapass Game, a 'pre-mystery' game in which the goal is explained in the title. 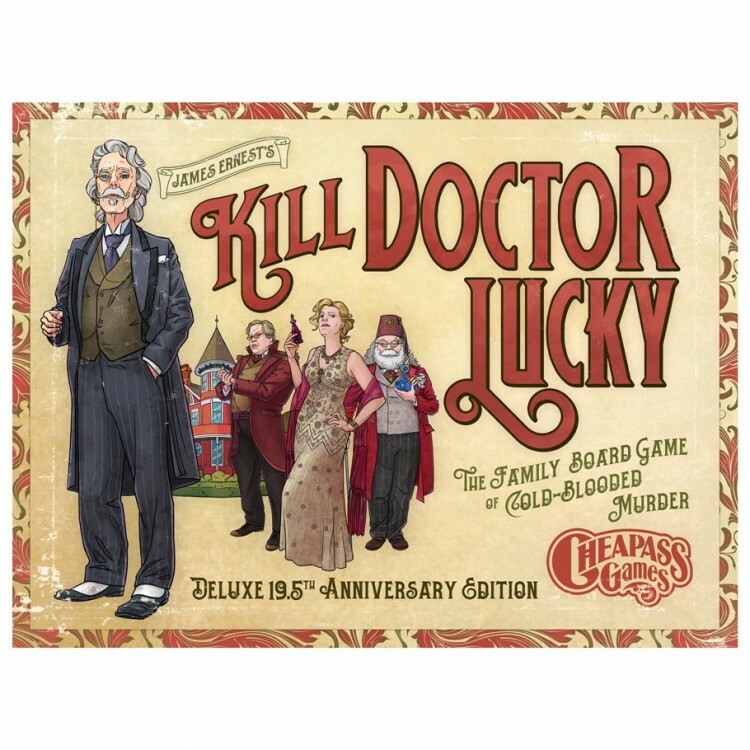 Every player is a murderer visiting Lucky Mansion, and the first player to kill Doctor Lucky wins. But he's not called 'Doctor Lucky' for nothing: he's notoriously hard to kill. This is the 19.5th Anniversary Edition of Kill Doctor Lucky, featuring all-new art by Israel Evans (Get Lucky). This edition contains dramatically updated rules, so it's cleaner, faster, and more tactical than ever before.